Despite living in the UK where the sun is barely functional, one of my favorite things is to get out to explore a new place, find something interesting about it then break out my sketchbook and start drawing. I’ve done a lot of art exercises since I began drawing in 2011, but those I’ve seen the most return from have revolved around drawing from life. It can be useful to learn from other people’s art, but at the end of the day, if you take too much from other artists, you risk making your art more style than substance. 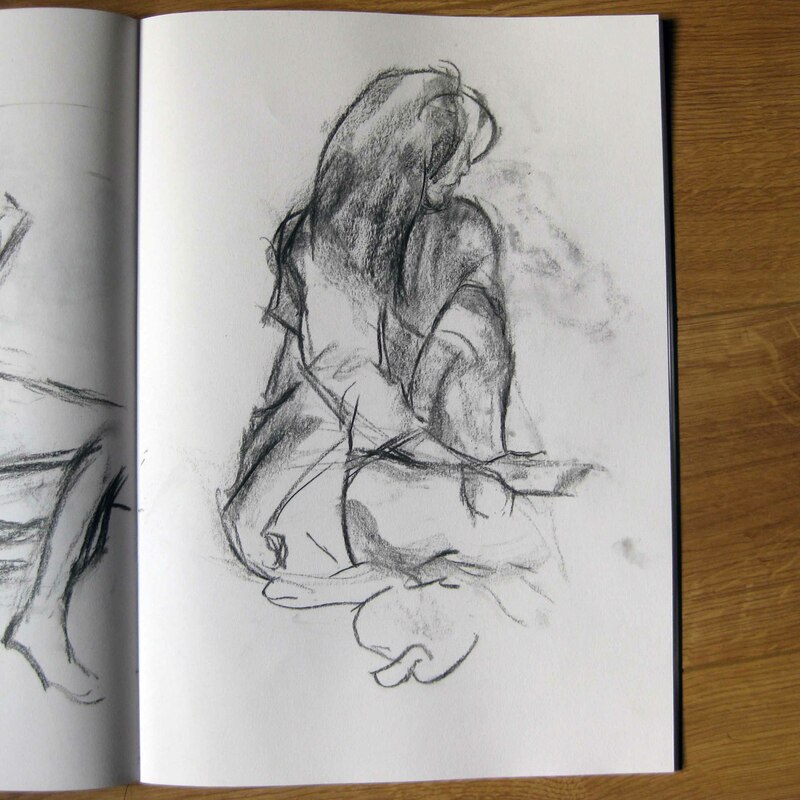 An artist’s style is a window into what they take as important enough to capture and emphasise in their subject. If you don’t study the world around you, but simply imitate other people’s art, it’s like you’re copying a copy. Each copy mutates away from the truth of the subject. Last October I was looking through the Creative Scotland website for work opportunities and I came across the Scottish Design Exchange (SDX). SDX is a not-for-profit shop set up to help artists and designers get into retail – they provide exposure to the masses through a busy shopping centre. I found them at the perfect time, as they were looking to take in a new batch of makers right then. There’s a real affection for this shop, as it’s completely packed with work from such a variety of creatives, and people know that they’re buying straight from the makers themselves. Having had limited experience of selling art through galleries and shops, it felt like a big step up to get a hold of my own wall space in the shopping centre. I quickly made a budget for myself and got to work producing plenty of prints, cards and framed paintings. When I got my hands on the first sales reports I found my prints were very popular, so the first couple months left me feeling very optimistic. 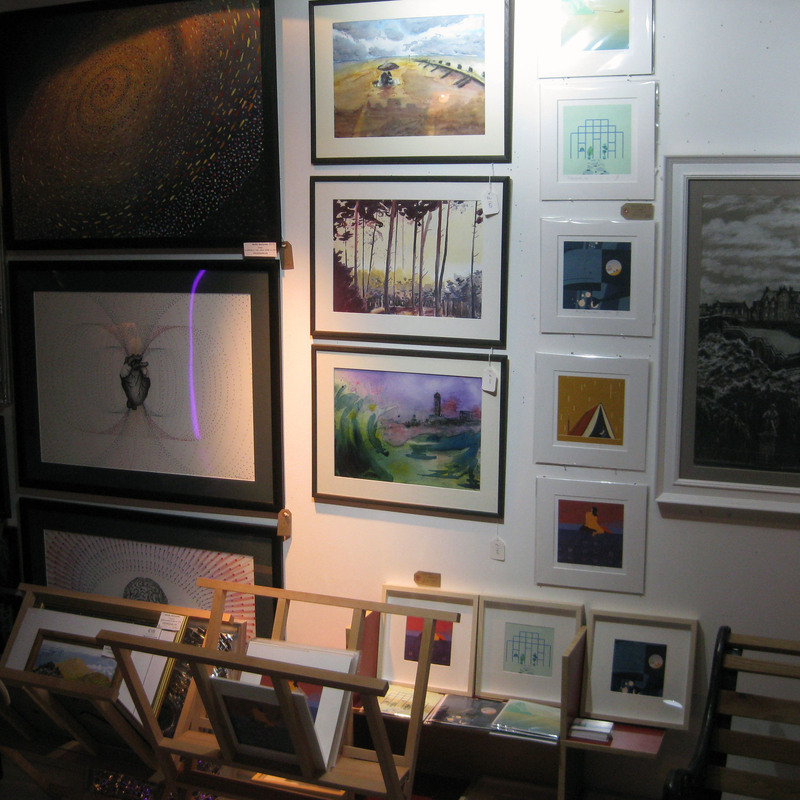 One piece of advice from the staff was particularly helpful in the run up to Christmas: make your work available at various price ranges, so if somebody likes it they can buy something whether they’re looking to spend £3 or £200. For me, this means selling work as cards, open edition prints, limited edition prints and framed original paintings. Other creatives sell everything from custom clothing to badges and stickers. In the months after Christmas, the shop’s been much less busy (which is another lesson to keep in mind in retail) but I’ve found the staff more than make up for this. Most of them sell their own art/designs through the shop and have been generous with their experience. They also occupy a uniquely valuable position in that they’re working from the centre of so many talented creatives. If they can’t help with something, they usually know a local who can. Working with the SDX team has been fun and rewarding. If you’re checking out the Edinburgh art scene I’d recommend paying the shop a visit. I’m excited to see what else comes from our partnership in 2018. Art is a way of exploring your inner and outer life. At its best, making art helps people uncover and come to terms with problems in the way they’re approaching the world. Creating is, therefore, a deeply personal act, and this complicates the work of any professional creatives. How can I be expected to make good art consistently, regardless of other motivating (or demotivating) factors in my life? We can’t always make artwork that’s up to our standards as artists, but this isn’t necessary when you’re working to meet the needs of others. One way to better meet their needs regardless of where you are personally is to develop a consistent style, or approach to making. With consistency, we make a sacrifice: we subdue our desire to experiment to any great degree (outside of personal work); but we balance our output, so there’s much less which is below our standards. I love simplicity in my work. I make it my goal to show what I need to as cleanly and precisely as I can. Like most artists, my creative drive can fluctuate wildly. We all want to be productive, but not at the expense of doing good work. Inspiration tells us we’re onto something, but does inspiration have to be something we wait for? 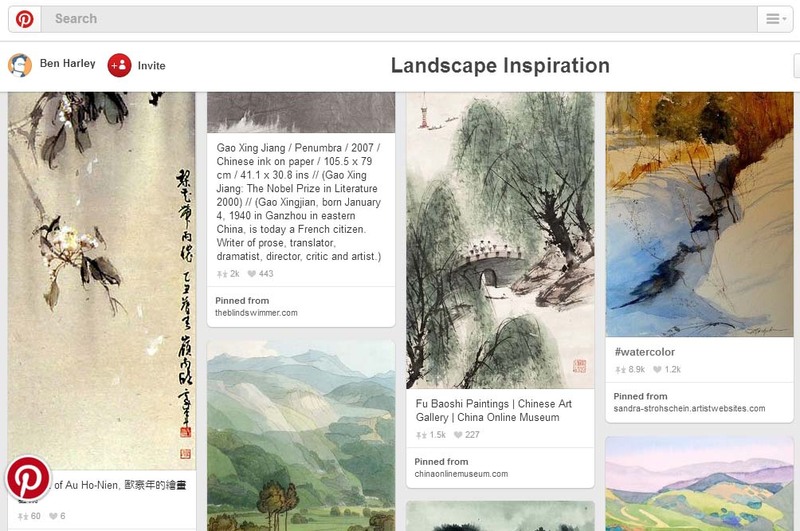 I’ve recently found Pinterest to be a great tool for making artwork. It allows me to see the work of so many inspiring artists and to group it all together in one space – I make inspirational moodboards. These days, every respectable business venture has its own website. Social media is an important tool, but the giants are always shifting. You need a stable base. This article offers guidance on making a completely customisable website with WordPress (free software).